The iPhone is independence for Leason. 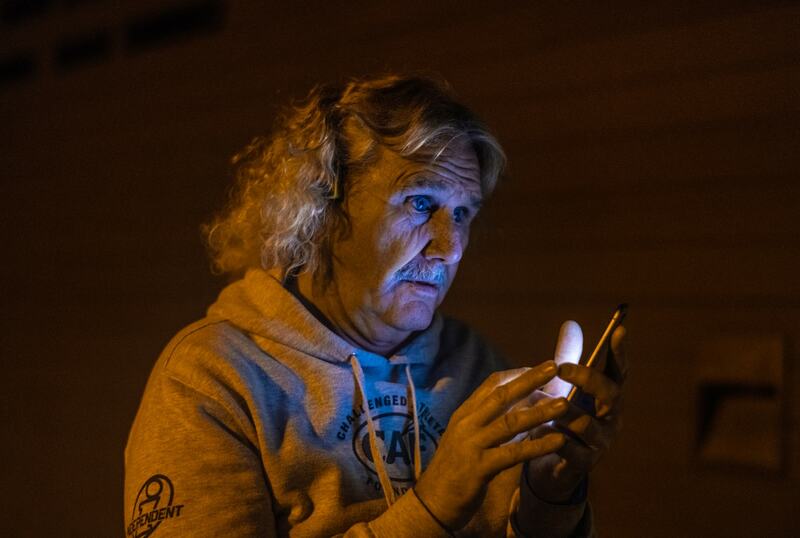 Leason uses an iPhone XR to check his email, social media, send texts, check the weather, read the news, view surf reports and more. All of it is made possible with VoiceOver in iOS along with other accessibility feature Apple has emphasized during the iPhone’s development. When it comes to iOS vs Android, Leason says a lot of visually impaired people prefer it because you can do everything. 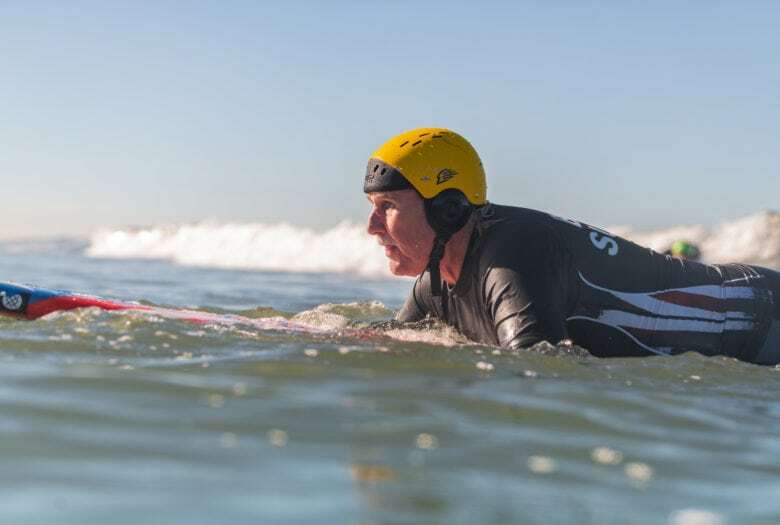 Paul Lang, the instructional coordinator at the Mission Bay Aquatics Center where Leason surfs says he was blown away with what Leason can do. Scott waiting for his first wave on Mission Beach. iPhone and Apple Watch are leveling the playing field for blind people. Apple says that more people in the blind community now use VoiceOver than any other mobile screen-reading software combined. About 70 percent of vets that have gone through the VA’s 13 blind rehabilitation centers are given iOS devices and accessibility training. Leason wasn’t a very tech savvy guy before he got his iPhone but says the tech makes it easy. 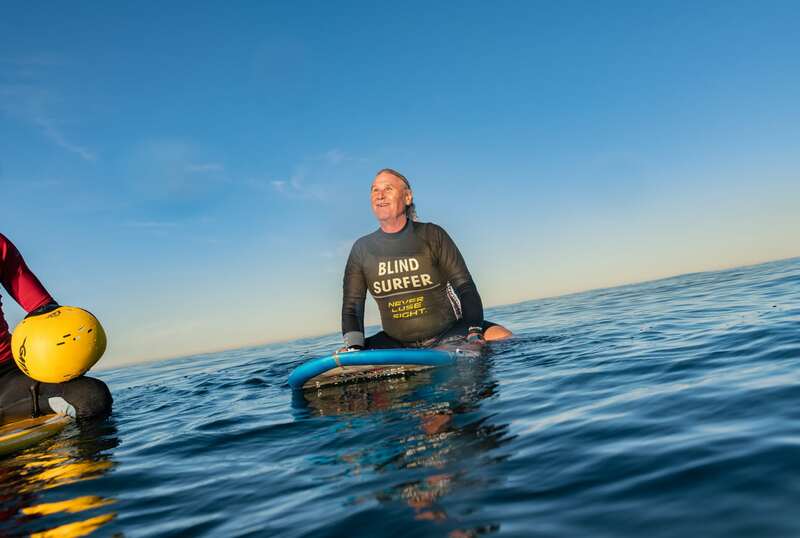 Leason was the first blind champion at the USA Adaptive Surfing Championships at Oceanside Harbor North Jetty in June 2016. He also won second place in men’s tricks at the USA Water Ski competition in Harmony, North Carolina that year.